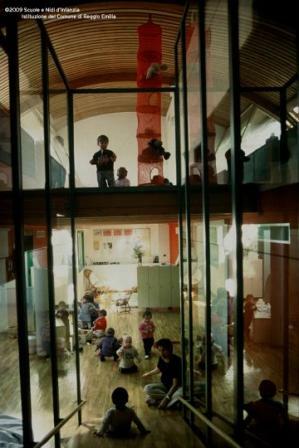 Reggio Emilia Municipal Infant-toddler Centres and Preschools have always been defined by the modernity of their theoretical thinking and their deep-rooted commitment to research and experimentation. These services for early childhood transform into everyday reality a 0-6 educational project based on the image of a child equipped with enormous potential who is the subject of rights. For this reason privileged attention is given to the children, observation and documentation of learning processes, exchanging ideas and discussion. Other distinctive traits include: collegial and relation-based organisation of work, the importance accredited to environments and spaces, intense co-participation in school management by families, relationships with culture in the city and the most lively research experiences in Italy and abroad, atelier spaces and atelierista educators for valuing children’s creativity. Since October 2003 early childhood services in the Municipality of Reggio Emilia have been run through a specific body called the Istituzione. This has autonomy on educational, pedagogical and administrative issues, its own budget and its own mayor-nominated staff. 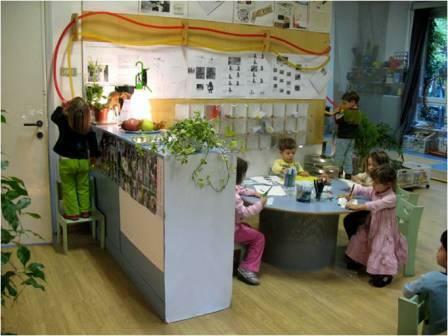 Objectives of the Istituzione include organising, managing and increasing activities necessary for the functioning and qualification of Infant-toddler Centres and Preschools in the Municipality of Reggio Emilia . The Istituzione is intended not simply as an organ of effective management but exists to safeguard and renew qualities and values in Reggio Emilia educational services.